April is a major birthday month in our household! Kyle and my mom share the same birthday in April, and our dog Langston also shares this birthday month with them! Hooray!!! I love birthdays! I love baking, and I love decorating, and birthdays give me the chance to spoil my loved ones with both! 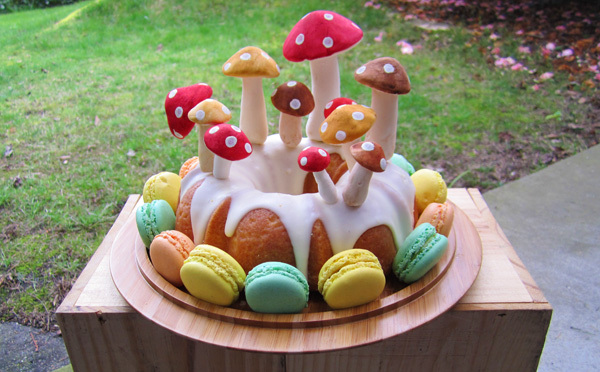 Last year I made a couple hundred mushroom cake toppers for our wedding tarts. And I wanted to share a quick and easy tutorial how to make these darling little cake toppers. 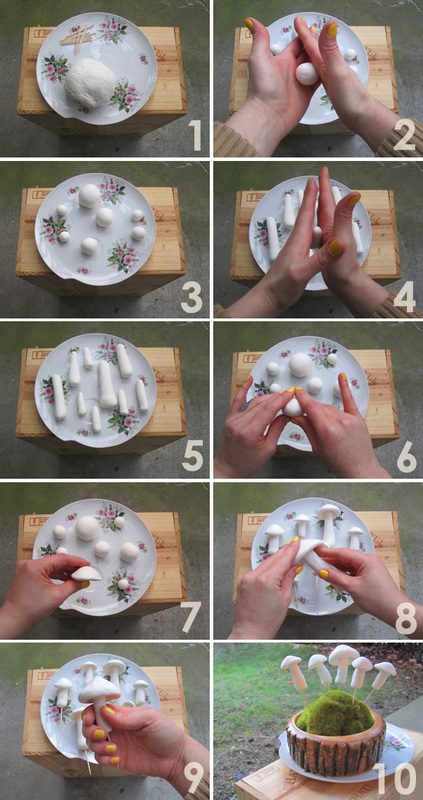 1.SUPPLIES - air dry modeling clay & toothpicks 2.Roll your clay into small balls varying in size 3.Set aside half 4&5.With the other half begin rolling your balls into longer hotdog like shape. I like to make one side taper slightly. This will be your mushroom stipe. 6.With your remaining clay, begin shaping your mushroom caps. 7.The underside of your mushroom will be slightly concave. 8.Attach your stipe to your cap. If the clay is getting too dry, just add a little water 9.Stick a tooth pick up the stipe and voila! Your topper is assembled. The clay is best to let sit for 24hrs. Some brands dry faster than others. 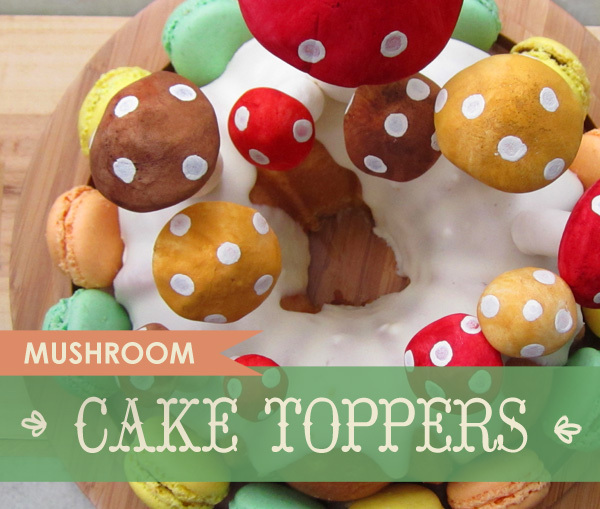 10.I recommend stick your toppers into something, if the lie on a flat surface while drying, you will have flat sides to your little mushrooms. I used my pin cushion, but you could use and old cardboard box too! These little guys look great in white, but I decided to spruce mine up with a little watercolor paint and acrylic for the polka dots. These are great for sprucing up any treat, sweet or savory.